Along with taking over Zombicide, CMON has more business announcements to make. 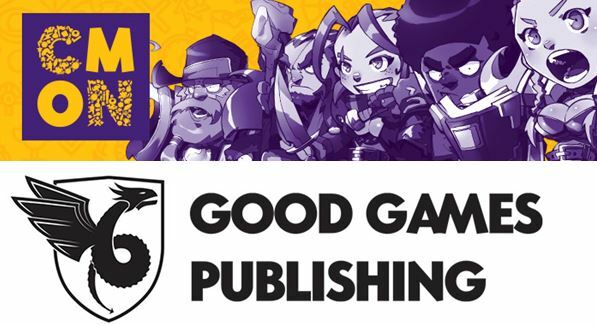 This time, it's that they're teaming up with Good Games Publishing. CMON will be taking over distribution and marketing, as well as co-branding, on Good Games Publishing's products in all English and French territories (outside of Australia and New Zealand). And they're starting things off quick, with the release of Monstrous, coming this quarter, and Unfair, which will be coming to Kickstarter on August 16th. “CMON is excited to work alongside Good Games Publishing to help bring new board games like Monstrous and Unfair to a wider audience outside of Australia and New Zealand. With Good Games’ innovative, creative and high-quality titles, the partnership is a perfect match, and we’re sure our fans will agree once they play these new games,” said Chern Ann Ng, CEO of CMON Limited. “We bring more eclectic games, and they bring a wealth of experience in various areas of development, production and marketing we can tap into. CMON is a perfect partner to help us straddle the Kickstarter and retail dimensions of game marketing. This relationship will be a series of wins,” Brebach added. Those who are here at Gen Con can check Monstrous and Unfair at the Good Games Publishing Booth (#2500) this weekend.